To me, the Sebamed Liquid Face & Body Wash For Sensitive Skin is almost like my regular tube of toothpaste. It's a cheap, unglamorous, regular everyday product that I had been using twice a day, day in day out, for many years. You could say I took it for granted and never once thought of writing a post about it. It wasn't until I wrote my review of the MuLondon Organic Foaming Face Wash that I realised how significant this face wash has been in my life. I should, at the very least, write a little article in honour of my faithful companion of eleven years. 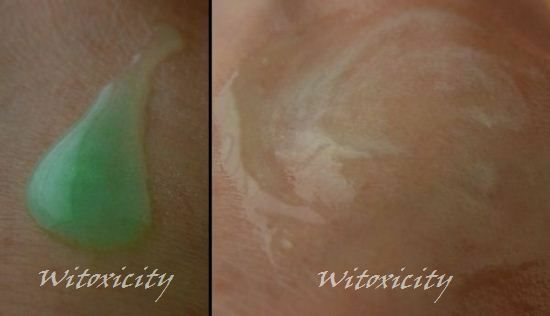 The Sebamed Liquid Face & Body Wash was recommended to me by my dermatologist when I was at probably one of the lowest points in my life. My face was breaking out like crazy with pimples, cystic acne and everything in between. It was painful, it (or rather, I) was ugly and I was terribly, terribly depressed. I know this comes across dramatic but if you're one who's been blessed with good or even fairly good skin all your life, you would probably find it hard to comprehend. I understand. I stuck with this face wash for so many years simply because (a) I didn't want to rock the boat, and (b) I didn't know what new cleanser I could switch to. It was just easier to stick to the tried and tested. ........is dermatologist developed, ultra-mild, and compatible with the most sensitive of skins. It gently deep-cleans pores without causing dryness or irritation as regular soap can. This face and body wash does contain SLS. As it's concentrated, a small dollop no larger than a typical five-cent coin would be enough for the face, neck and hands. Over here, a 500ml bottle costs around €8 and if used mainly as a face wash, it will last a long, long time......a year, perhaps. The green liquid has a clean, fresh, not-quite-soapy smell which I think most people would find agreeable. It cleans the skin well, effectively removing dirt and makeup (but not waterproof makeup). The skin is left soft without the tightness (except for when I'm in an extremely dry environment but that's nothing like the tightness that I used to get with facial soaps). The skin just feels clean. Pure and simple. It is soap- and alkali-free. With a pH of 5.5, it mirrors the pH of normal, healthy skin. 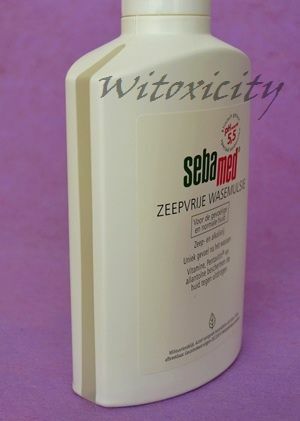 Sebamed: This is essential in maintaining your skin‘s natural hydrolipid barrier against environmental stress. I think it already says a lot if it worked well for my problem, acne and sometimes sensitive skin. Oh, and it doesn't sting the eyes. As the name suggests, you can use it as both a face wash and as a body wash. I find that extremely handy when travelling. Taking one bottle (albeit small) is always better than lugging two. Actually, it has a third use. I use it to clean my makeup brushes too. Hey, if it's gentle enough for my face, it should be good enough for all my makeup brushes, ELLIS FAAS applicators and sponge-tip applicators. 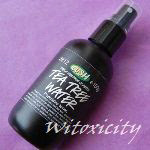 This face and body wash is available in various sizes. Take your pick: 1000ml, 500ml, 300ml, 200ml, etc (depending on where you live) and in the past, Sebamed used to include a free mini bottle with a purchase of a large one. These minis are sooooooo useful. In fact, I always transfered the contents from the larger bottles into the minis. That way, I would have just that almost inconspicuous mini bottle for active use in the bathroom, with the bulky, large bottle/s put away in storage. Keep in mind that even a small 50ml bottle would last a couple of months (as a face wash). I still have this face wash at home but I now use it mainly to wash my makeup brushes. It was a big step to take but I have moved on to natural facial cleansers and have been using the MuLondon Organic Foaming Face Wash since end of last year. 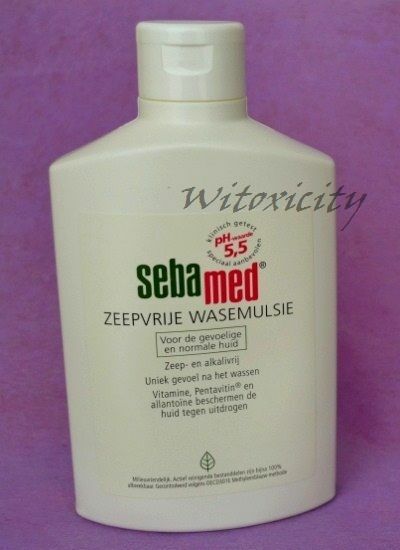 I didn't mind continuing with the Sebamed Liquid Face & Body Wash but the thing is, it's been eleven years. My skin has changed and stabilised somewhat, with an occasional pimple here and there. It was simply time to move on and try new products. It will, no doubt, be a new adventure in my journey of beauty awakening, which is what this website is all about, really. 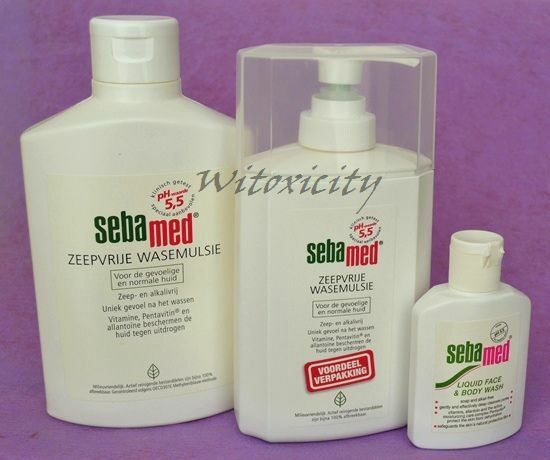 Sebamed products can easily be found in many drugstores. If it's not available where you are, you could try Amazon US or Amazon UK. Wop wop! I always have issues with cleansers leaving my skin SUPER tight and dry T_T /crey. The down-sides of being non-oily. -sob- HOWEVER, I love the LUSH Angels on Bare Skin cleanser!